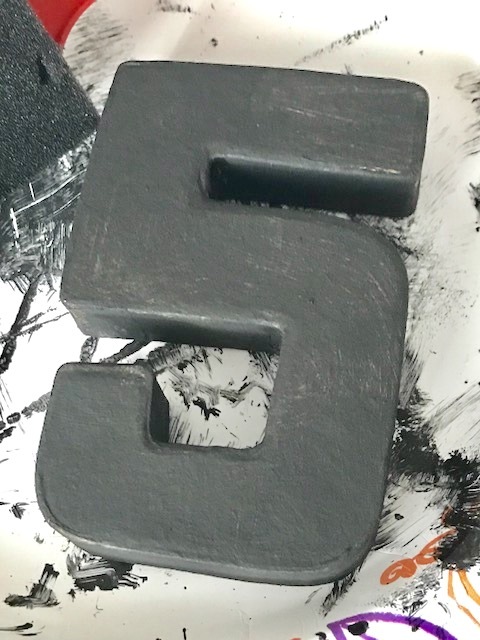 Start by painting the paper mache with two coats of black paint. Next give it a light coat of silver paint still letting some of the black paint show. Add a second light coat of silver paint and sand the edges if you want. Then just add a few silver brads and pretty ribbon for hanging. I also gave Cindy a 2nd ornament because I thought it was totally her style and hoped she would love it as much as I did. 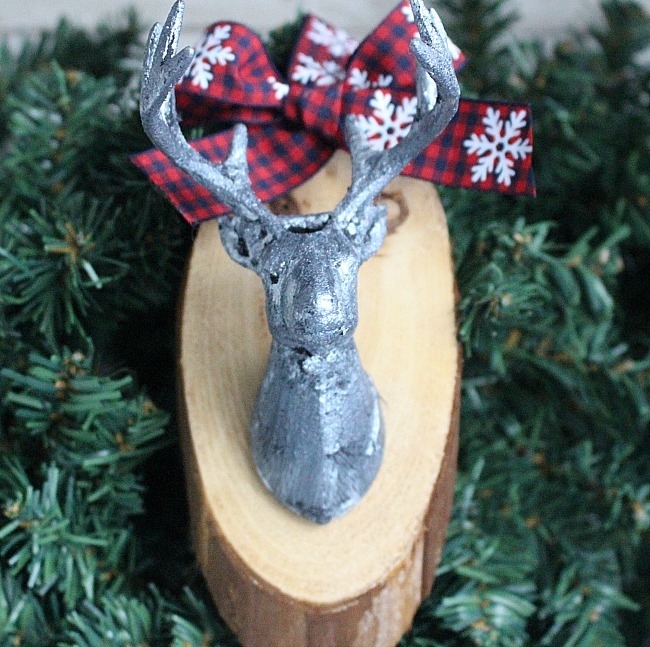 You can read about this wood slice deer ornament here. I am so in love with the ornament I received from Cindy. It is something I would buy in a store. It was my colors and is just stunning. I can’t wait for the tutorial because I would love to make some as gifts this year. Hopefully they come out even half as nice as hers. Thank you so much Cindy. A huge thank you to Erlene of My Pinterventures for organizing this ornament exchange. Be sure to check out all the other ornaments linked below! Michelle it was so fun to partner with you for this ornament exchange! I love my ornaments (you were too sweet to include 2!) 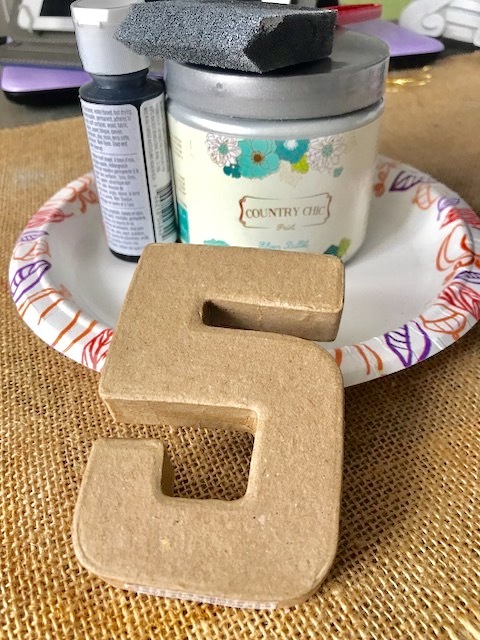 I loved reading your tutorial to see how you created it! I hope you have a very merry and blessed Christmas! What a pretty and thoughtful ornament! I love how the black and silver makes it really look like metal. 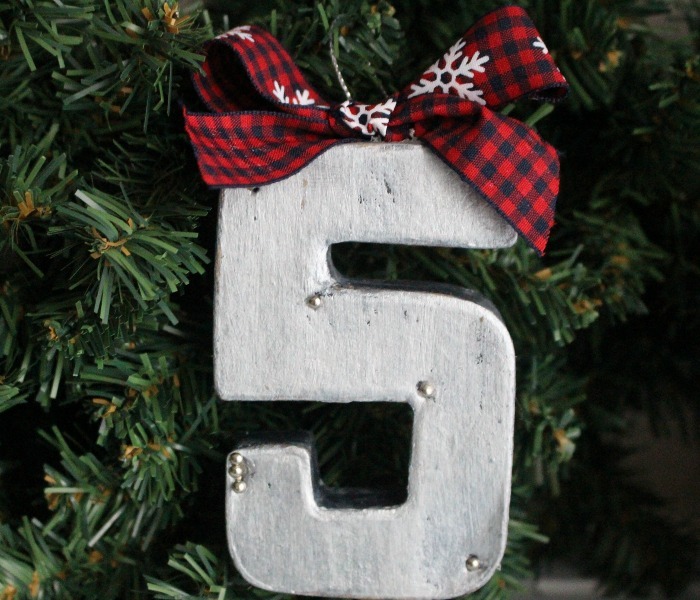 I love this rustic ornament. Great use for the silver brads! 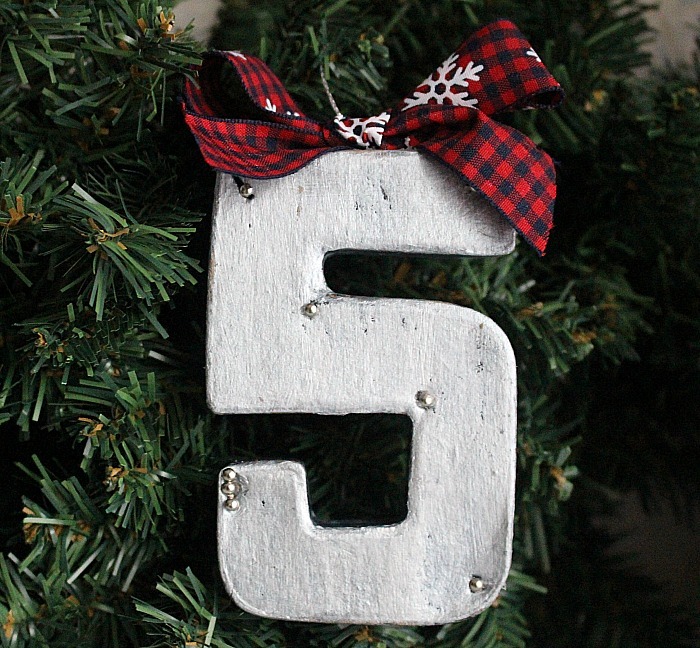 What a fun idea to use a special number for an ornament. I love the rustic quality of the ornaments. Both of them are so wonderful. That was brilliant to incorporate a number that would have special meaning to her. I LOVE this ornament. How fun would it be to do an entire tree with these?! Thanks so much for sharing your creativity on the ornament exchange. How fun! And great to personalize for each family’s tree! 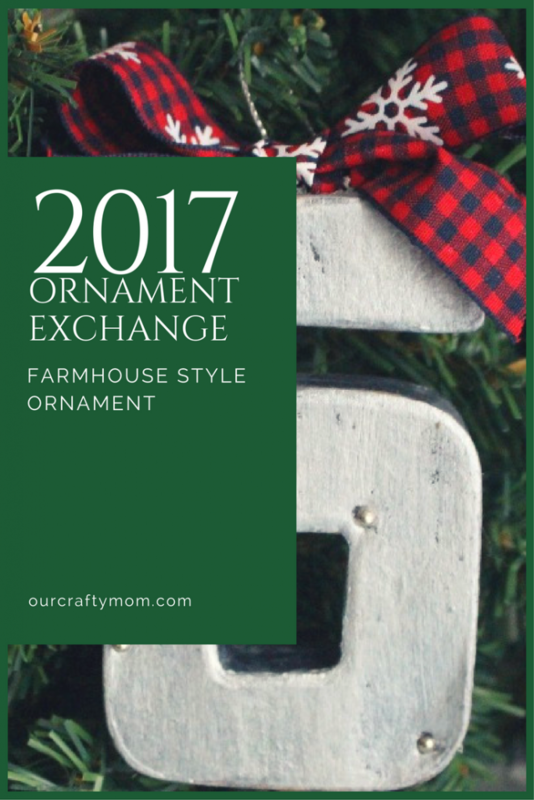 I love all the ideas I get from participating in the Ornament Exchange!! Both of your ornaments turned out great! 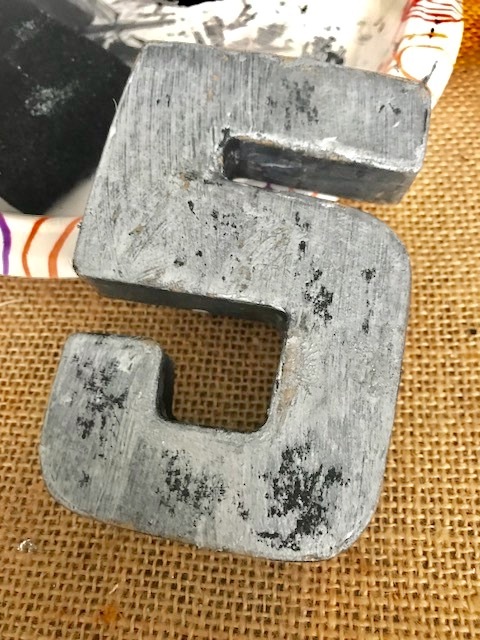 I really like the treatment you did on the 5 to get it to look like metal – and the brads are the perfect details!